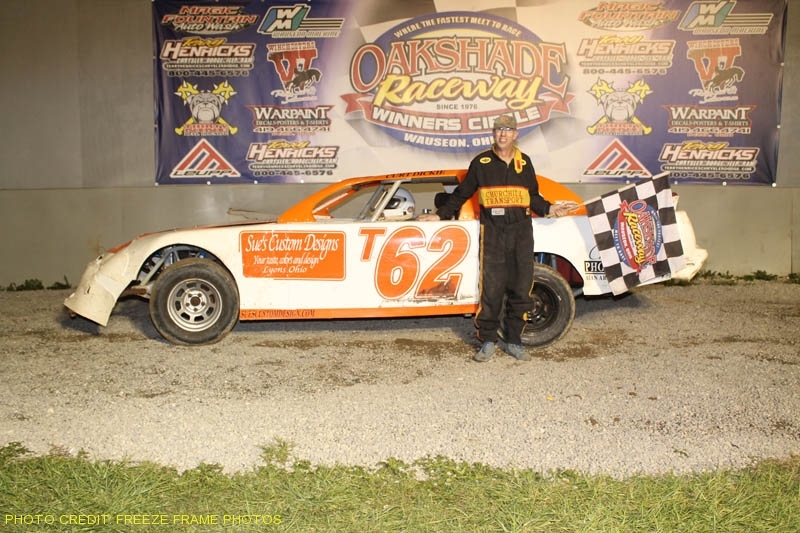 Rob Liaeff extended his consecutive run of Oakshade Enduro wins to three as he topped 34 other drivers to be the first to complete all 200 laps on Sunday afternoon. The field remained tight the first quarter of the race with Matt Koerner leading the first 75 laps. Liaeff grabbed the lead by the halfway point of the race and continued to run consistently the final 100 laps. Liaeff didn’t have the fastest car on the track, but he stayed out of trouble and took care of his equipment to earn another $1,000 victory. Mark Henderson finished a couple laps behind Liaeff to end up second followed by Neil Shaw, Mike Grames and Jeremy Grover. With the 2010 racing season complete, Oakshade Raceway will switch gears offering haunted hayrides on Friday, October 8. Haunted hayrides will then run both Friday and Saturday nights through Halloween beginning on Friday, October 15. There will also be a swap meet starting at 8am on Saturday, October 16 with no spot fee, just a $5 admission charge.